Even in Southern California, we get to experience beautiful fall colors. The liquid amber trees lining the streets in Old Towne turn brilliant shades of orange & red to our neighborhood. While our fall colors aren’t as expansive as the rest of the country, they are still wonderful. 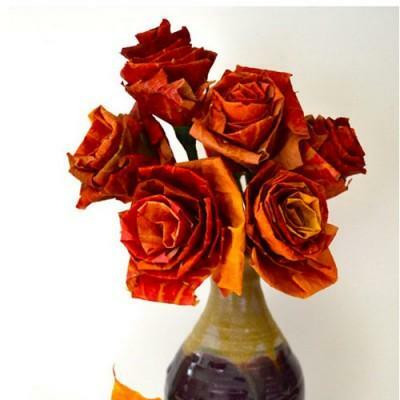 How great is it that you can now bring those fall colors into your home with these craft projects from All You? People will be amazed you use leaves to create them & you will feel oh so clever for having made them. That sounds like a big win to me!